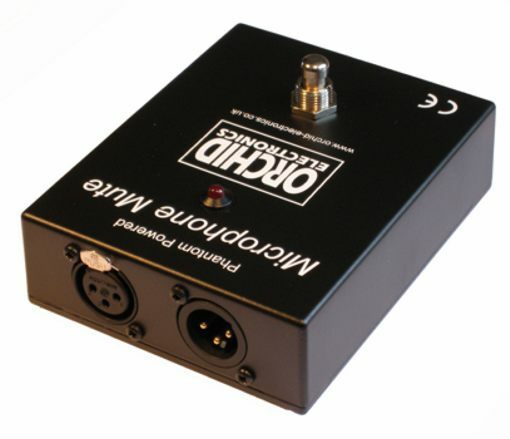 A simplified version of our Microphone Muting pedal - featuring just an XLR microphone input and output. Momentary operating footswitch, push to mute then push again to un-mute. The latching action is carried out electronically. Our larger Balanced Microphone Muting pedal has been well received and used in a variety of situations, but primarily by musicians with very high quality microphones fitted to their traditional style acoustic instruments - such as fiddles, cellos and basses. Widely used with DPA, Audio Technica, AKG, Neumann and Shure studio type microphones - as well as balanced contact microphones such as Shertler. 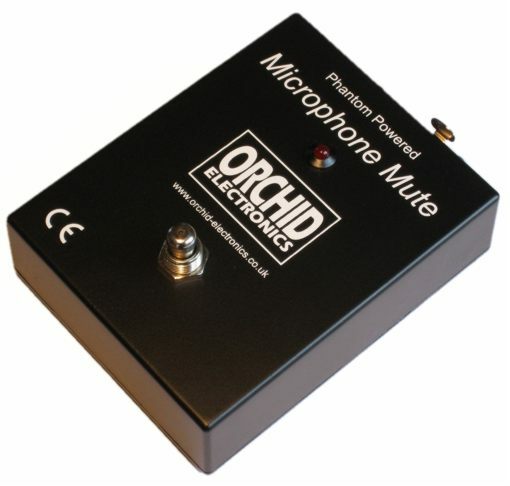 This model was requested by customers who didn't use or require any auxiliary outputs to feed a tuner or stage amplifier, as provided on our balanced Mic Mute pedal. The muting circuitry is powered by Phantom power from the mixing desk - this is passed on to the microphone. If you are using a dynamic microphone that does not need Phantom power - there is no problem, or risk of damage to it.